The Macomb Bomber Booster Club is an organization of fans, alumni, friends, parents, and businesses, which provides funding for more than 300 student-athletes with resources they need to compete at the high school level and to succeed in the classroom. 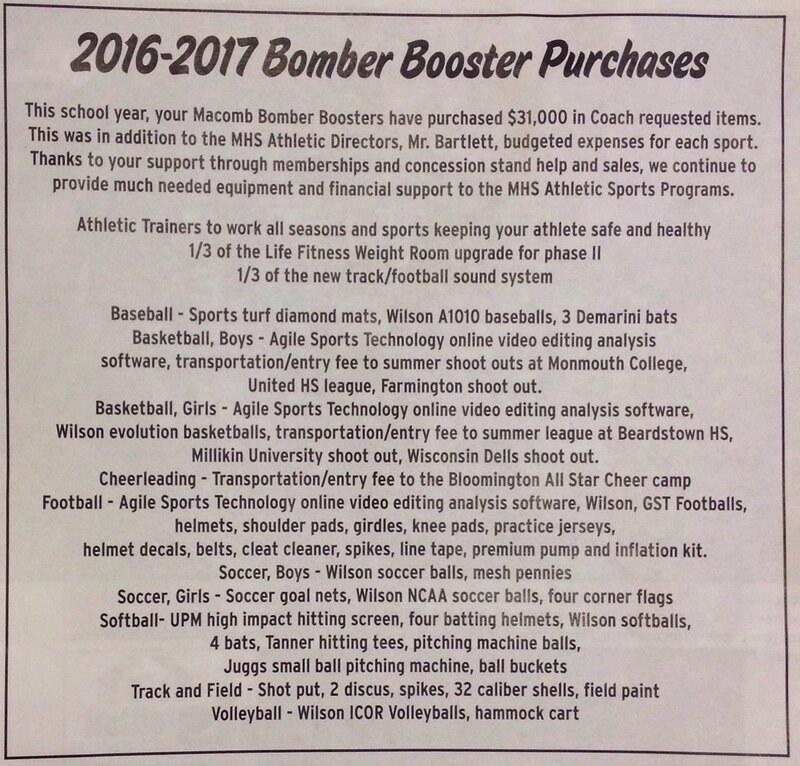 The Macomb Bomber Boosters have purchased $31,000 in coach-requested items. Without the efforts of many, many people, these items would not be available for our student-athletes. This school year, your Macomb Bomber Boosters have purchased $24,558.22 in Coach requested items. Thanks to your support through memberships and concession stand help and sales, we continue to provide much needed equipment to the MHS Athletic Sports Programs. Click Here for a list of equipment and supplies purchased during 2015-16. The Bomber Boosters need YOU more than ever to continue the high-level athletics program our students deserve.